This is a great time of the year. Our grandchildren are out of school, and their parents are looking for a little relaxing time. 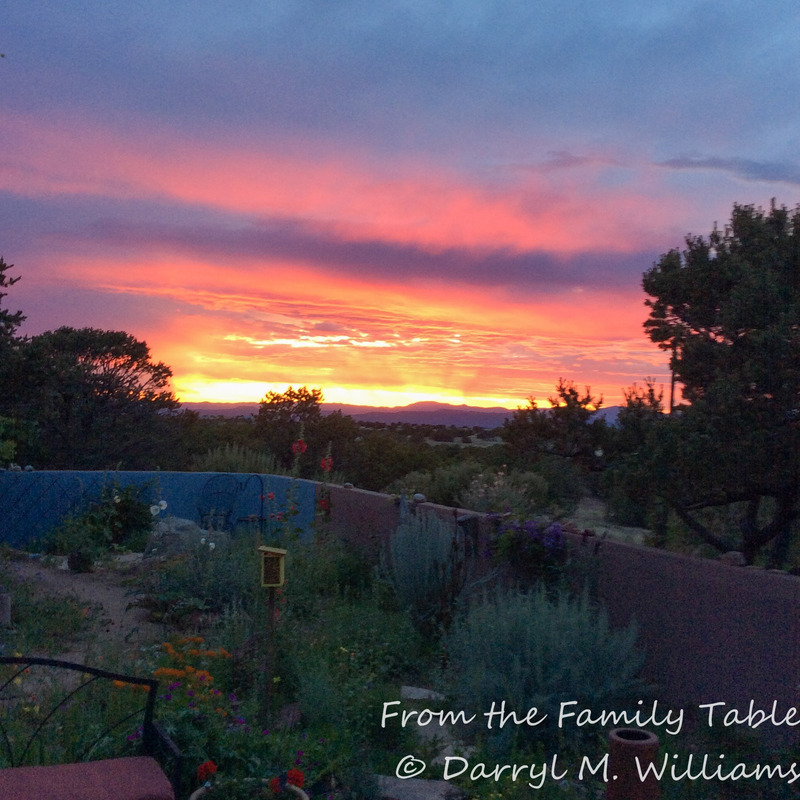 That means we get to have them in Santa Fe for a few days. Our youngest, Sarah, is here now with her two toddlers. That is exciting for Grandma and Grandpa, but it also is a reminder why young people are parents and old people are grandparents. Sarah and her husband, Evan, are chefs. They have fallen into the occupational hazard of those who cook for a living: they taste – and taste – and taste. Over the years they have added a few pounds along with – for Sarah – the weight gain of motherhood. As a result, they have gone on a very strict diet and exercise regimen prescribed by a no-nonsense personal trainer. Before her arrival, Sarah announce that there would not be the usual eating out that seems to be part of the visiting tradition. I was disappointed about that, because there are several new restaurants in town worthy of a visit. The other restriction was that home meals should be high protein/low carbohydrate. How to deal with that? No pasta; no red and green chile enchiladas; no pies or cakes. 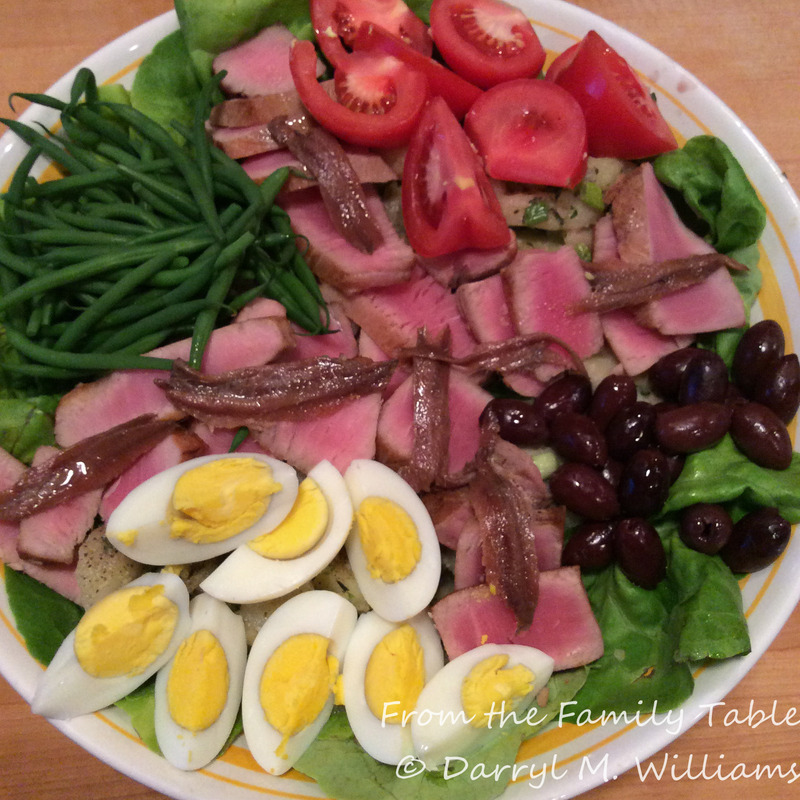 I decided that a simple resolution, at least for the meal the evening of their arrival, was salade Niçoise. I know – what about the potato salad? No problem. That becomes a personal option. Sarah signed off on the suggestion, and so that’s what we had. I bought some beautiful raw ahi tuna at the store which I seared to keep the lovely pink inside. There were haricots verts at the farmers market and Kalamata olives from the Cheesemongers of Santa Fe. Everything else I found in the pantry or refrigerator, so it was just a matter of cooking and blanching the beans, hard boiling the eggs, and assembling everything right before we ate. That gave us time to enjoy the beautiful sunset. A good ending to a tiring day for Sarah shepherding two toddlers on a flight that wound up sitting on the tarmac for thirty minutes after arrival, waiting for a gate to open. Dress with vinaigrette and serve. In a recent post, I described an amazing feast we enjoyed at Bar Tartine in San Francisco. One of the co-chefs, Cortney Burns, is featured in an article titled, “Dairy Queen” in the Spring, 2014 issue of Culture: the Word on Cheese, a beautiful quarterly magazine all about cheese. Before our recent visit to the restaurant, Sarah and Evan said we should be sure to get the Liptauer cheese spread. Unfortunately, it was not on the menu that night, so we didn’t get to give it a try. I’m not sure, but I suspect that Cortney is behind the spread being on the menu because of her obvious interest and expertise in cheese. Liptauer cheese, like the pimento cheese I wrote about a while back, is a classic from earlier days, commonly seen at cocktail parties. I guess with the renaissance of cocktails, there is a renewed interest in cheese spreads as well. Liptauer cheese is the name for both the soft, fresh, sheep’s milk cheese originating in Liptauer, Hungary, and the seasoned spread made and enjoyed in Austria, Germany, and other European countries. You probably won’t be able to find the original Liptauer cheese at your local cheese monger, but fortunately you can make a reasonable facsimile using cottage cheese or cream cheese. If you want to turn your spread into a dip, just add enough sour cream to suit your taste. Also, for some tastes, this version may be a little bland. You can spice it up with cayenne or your favorite hot pepper sauce to taste. finely chopped chives or green scallions or paprika for covering the cheese ball. In a food processor, pulse the cream cheese and butter until smooth. 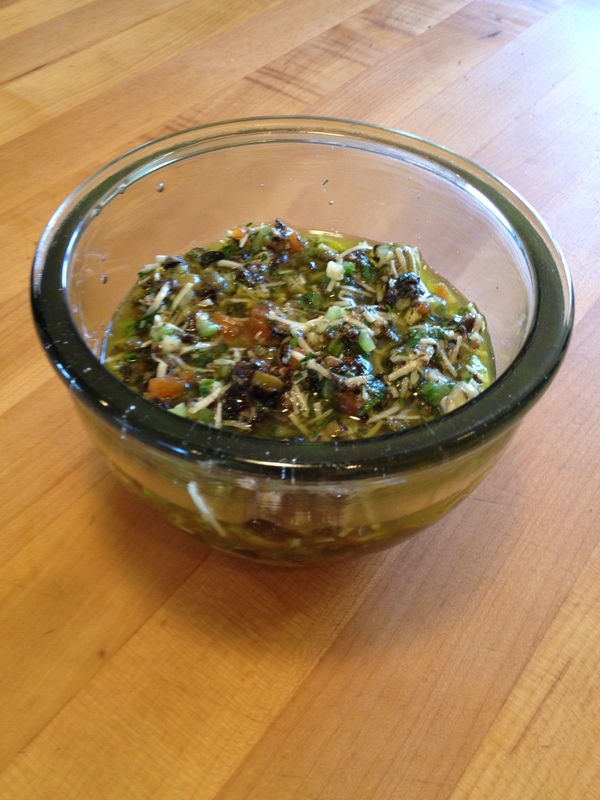 Transfer to a bowl and stir in the remaining ingredients until evenly combined. Refrigerate until firm, at least two hours or overnight. When firm, shape into a ball and cover in plastic wrap. Chill again. Serve at room temperature with fresh, crusty bread – preferably dark rye – or crudités. In my quest to get to the bottom of our freezer, I found a plastic bag containing four thick ham slices separated by waxed paper. I managed to break one of them free and decided to make a gratin of potatoes, onions, and ham. One of our family favorites is Julia Child’s râpée morv andelle (Mastering the Art of French Cooking, volume 1, page 153). In that recipe, though, you are supposed to grate the potatoes and finely dice the ham. The ham steak from the freezer seemed too big and thick to suffer the indignity of fine dicing. I was reminded of a wonderful dish that a Swedish friend of ours always prepared for her Christmas smörgåsbord: Jansson’s frestelse (Jansson’s Temptation). Potatoes and anchovy filets were arranged in alternating rows and then topped with onions, cheese, cream, and eggs. The casserole was baked until the mixture was puffed and golden. I decided to try that same thing, substituting thinly sliced potato for the grated potatoes and ham cut into bâtonett instead of dice. Scallions would serve as the onion representative. Using a mandoline, slice the unpeeled potato crosswise into 1/16 inch thick rounds. Soak in water until ready to assemble the casserole. Remove any fat and bone from the ham steak and cut into strips ½ inch x ½ inch x 2 inches. Set aside until ready to assemble the casserole. Combine the beaten eggs with the cream and season with nutmeg, salt, and pepper. In a well-greased 8 x 8 x 2 inch ovenproof glass pan, arrange an overlapping row of potato slices that have been drained and patted dry. Next to the row of potatoes, arrange a row of the ham slices. Then begin a second row of potatoes, another row of ham pieces, and finish with another row of potato slices. Sprinkle the top with half of the cut-up scallions, half of the grated cheese, and cover with half of the egg and cream mixture. Bake in the middle of a pre-heated oven at 350° (175°C) for 1 hour and 15 minutes. If the top becomes too brown, cover with aluminum foil. When the casserole is golden brown and the potatoes are tender (test with a small knife), remove from the oven, let rest for 5 minutes to set up a bit, and serve immediately while still warm.